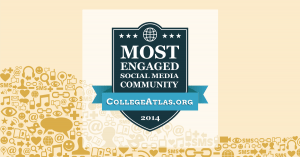 Ever wonder which U.S. colleges have the most influence and engagement on Twitter? By analyzing several Twitter data points from the nation’s largest schools, we’ve created the Most Influential Colleges on Twitter rankings. This list compares Twitter reach and engagement as well as the implementation of Twitter best practices. Over the last five years, Twitter has emerged as the place to find and keep up-to-date on the most captivating newsworthy topics. The unique social media tool allows users 140 characters to tweet their news into cyberspace. Hashtags… organize the conversation around the hottest topics, and once an idea is trending, it can reach millions in a matter of hours. While communication on Twitter is stereotypically known for being focused on hot topics like celebrity and world news, the data shows that it is also a strong hub for sharing educational content. 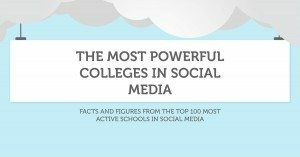 All of the top 5 schools on this list are known as elite research institutions and each use their Twitter accounts to highlight academic achievements. 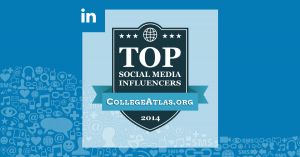 They also use their accounts to engage their large following in the online discussion about various research topics. But even these top universities are not above the normal fray of social media conversation, as Princeton posted a squirrel-selfie on a recent Friday to encourage students to have a great weekend. 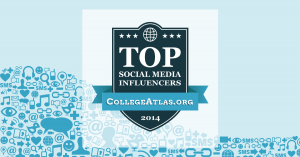 Early adopters to Twitter also garnered points in the rankings, as the amount of time each school has had an active Twitter account was considered. With almost all social media, and especially with Twitter, the sooner you join into the conversation, the more time you have to hone your strategy and messaging to find what is attractive to your followers. Schools like the University of Texas and Texas Tech University lead the pack in this regard. On Twitter, followers can also “favorite” tweets and share them. This increases the power of individual messages as they proliferate throughout the Twittersphere. Universities like Texas A&M and Louisiana State University stood out in this measure, where devoted alumni and students regularly display their university pride through tweets.